New Zealand is an extraordinary land. It has been called ‘the closest thing to life on another planet’ and ‘a planetary lifeboat’. The main reason behind this land’s uniqueness is that the islands have remained an isolated outpost for life in the midst of the ocean. this isolation has been a huge advantage. It has turned New Zealand into a wild laboratory where evolution could conduct experiments that led to weird and wonderful outcomes. And this uniqueness has also made New Zealand a magnet for scientists from around the world; yet many locals have no idea what’s so special about their environment. 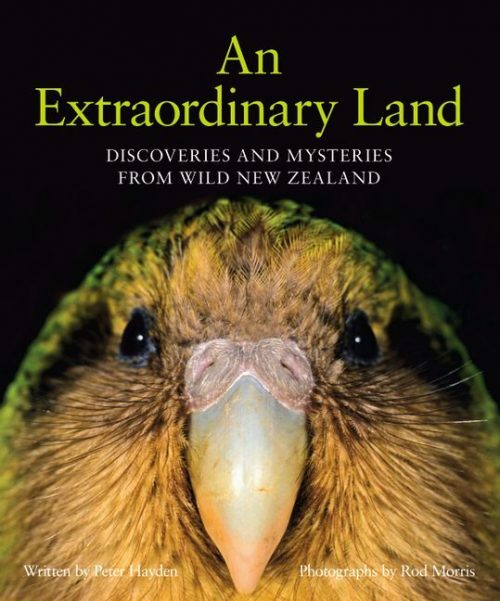 These stories will present new Zealand’s wildlife as never before. It will solve some mysteries and explode some myths with the help of those at the front line of science and conservation. HarperCollins – NZ, May 2013. 200 pages, hardcover, dustjacket, colour photographs throughout. 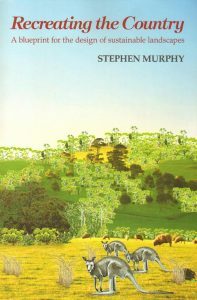 A practical guide to landscape restoration, this book sets out the design principles for adding habitat and creating more wildlife-friendly properties, while at the same time integrating with traditional agricultural enterprises. Wilderness: Earth’s last wild places. Artist/Author: Mittermeier, Russell et al. Conservation International’s Hotspots placed that organization at the forefront of global conservation efforts. 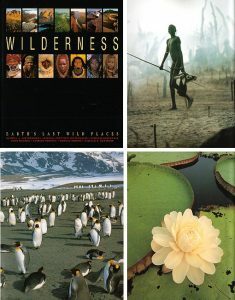 Wilderness: Earth’s last wild places continues the efforts made in that previous volume, combining nearly 500 breathtaking images of untamed lands and rare glimpses of the people who inhabit them with the most current scientific analyses of their endangered ecosystems. 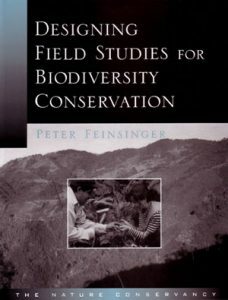 Designing field studies for biodiversity conservation. This work explains how to undertake field studies to guide conservation work. It is aimed at anyone working in conservation regardless of their professional or scientific background. The methods and procedures of scientific inquiry are explained in a step-by-step manner. The author wants to make the process of doing science accessible and effective. The purpose of this book is not only to offer information, but primarily to catalyze the process of good thinking, so that readers can learn how to think and understand the importance of broad inquiry, no matter what the conservation project. 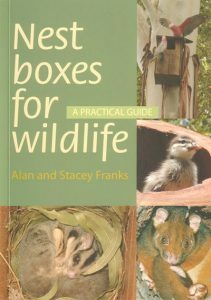 Nest boxes for wildlife: a practical guide. Artist/Author: Franks, Alan and Stacey Franks. A practical guide for Australian wildlife.